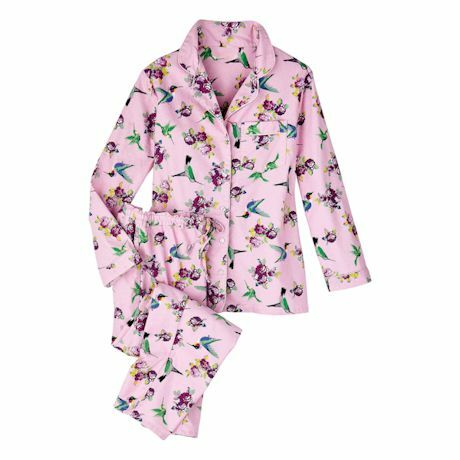 The traditional flannel jammies you love, with an amazingly detailed and modern floral pattern visited by dozens of flighty hummingbirds. 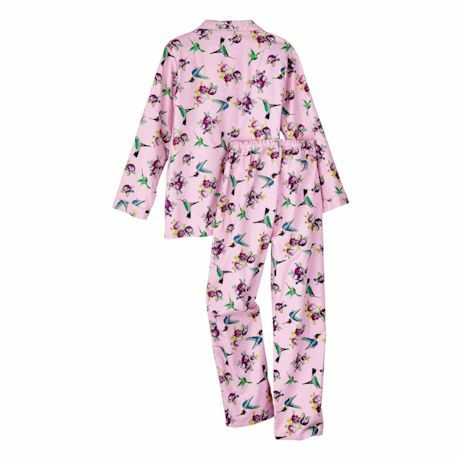 The comfy duo is made of superbly woven all-cotton flannel; relaxed-fit, button-front top. Elastic-waist bottoms. Imported. S-3X.